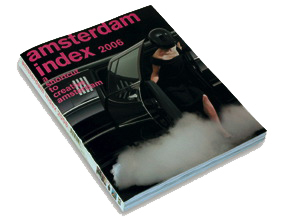 Bis Publishers and communication agency Vandejong realised two editions of Amsterdam Index, an annual, international super glossie about Amsterdam’s eclectic creative class. With my former agency Best Company we concocted the launch parties for both editions – making these festive gatherings an integral part of the magazine’s concept – and for the first 2006 edition I wrote an extensive feature on the creative network around local fashion stars Viktor & Rolf. 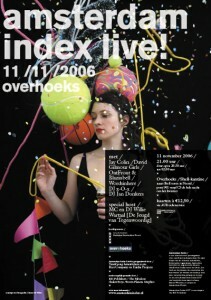 Click here for the PDF and read how architect Siebe Tettero, curator Martijn van Nieuwenhuyzen, show DJ Eddy de Clercq, graphic design team Armand Mevis & Linda van Deursen, photographers Inez van Lamsweerde & Vinoodh Matadin and shoedesigner Fredie Stevens contributed to this remarkable Dutch ‘Maison’. The feature opens with a very interesting read on Viktor & Rolf by cultural philosopher Dirk van Weelden.